I'm back with a fashion post finally! I'm still in between London and Birmingham at the moment so it's made blogging a bit tricky, however I'm determined to get back to my weekly schedule. I really want to make my blog a bigger part of my life so I'm planning on spending a lot more time on it to make it more exciting site to visit. It's so important to me to know what kind of posts you'd like to see so please let me know in the comments below. 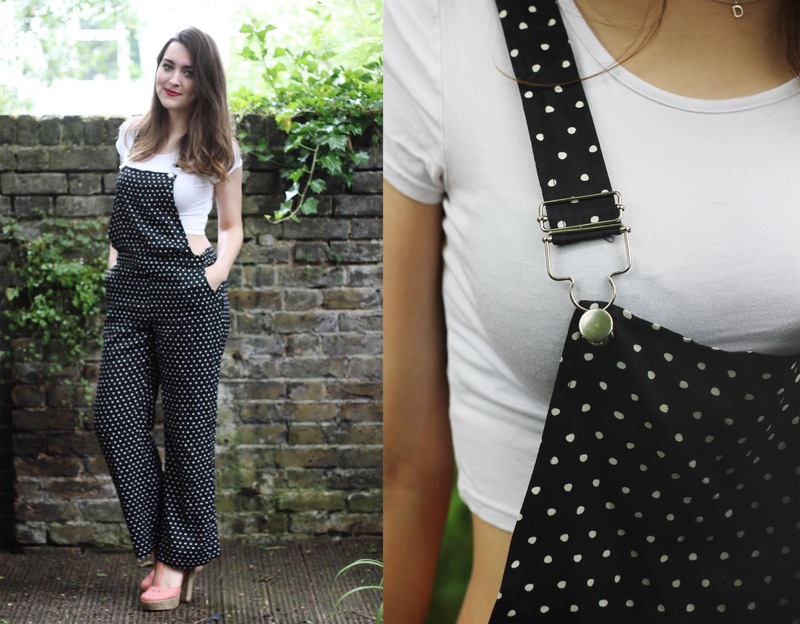 I decided to step a little bit out of my comfort zone for this post and go for these polka dot dungarees from River Island. They're unfortunately unavailable on the site but I've popped some alternatives in the shop the post feature below. This outfit is perfect for the lovely sunny days that England has been having recently as the dungarees are loose and are made from a really light breathable fabric. I've put this with a simple white crop top but I think this would look great with some neon accessories, Birkenstocks or a denim shirt. This is such a cute outfit ! You look cute ! Thankyou so much. Comments like this make my day! You should get yourself a pair! They're so comfortable! I'm so jealous , I want this ! ;) ahaha - You suit dungarees !. Thanks! I'm glad you found my blog & liked it. Are you a new follower? I'm glad you liked the make up! Aww you look sooo beautiful! 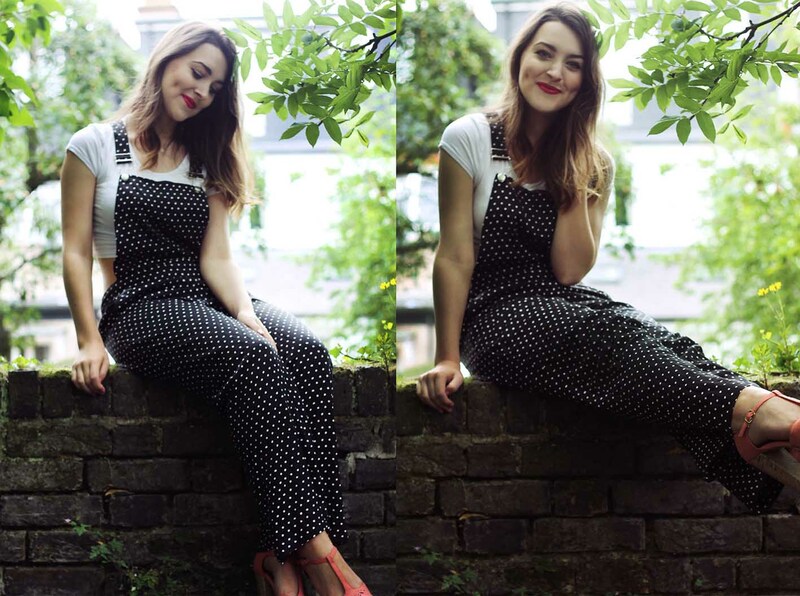 I love dungarees, especially how you styled them. 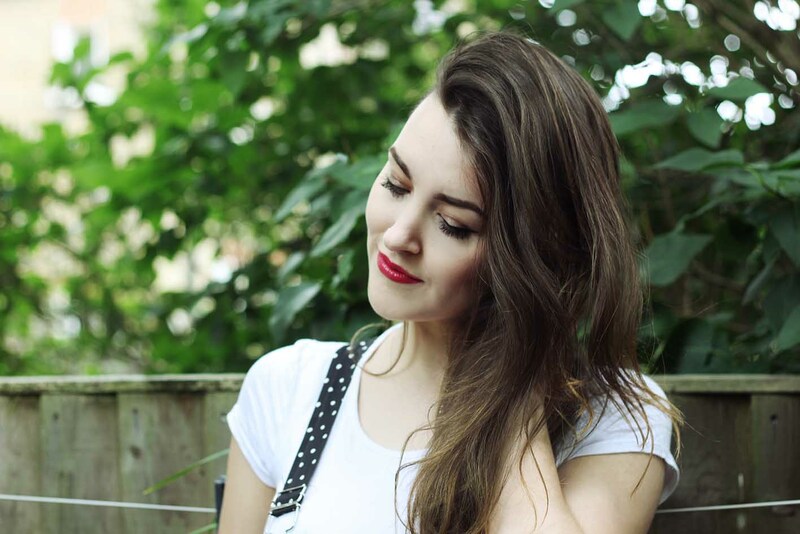 Very glad to find your lovely blog, now following! Thanks, nice to see a fellow dimply blogger too!